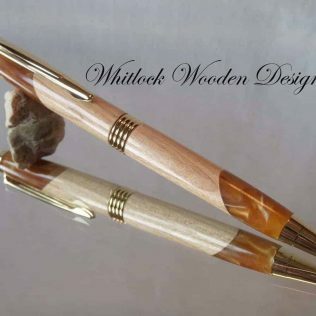 I hand turned the wood to round and shape on the lathe. 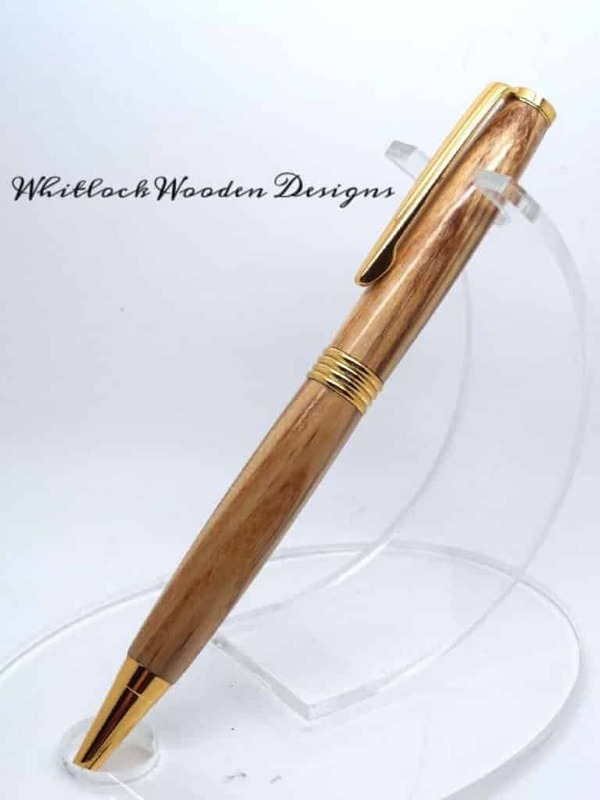 Once shaped and sanded the pen needs finishing with ca glue for a hard and durable high gloss finish. 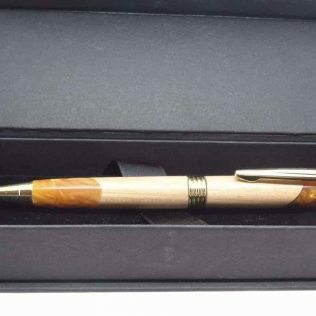 All my unique wood pens come in a presentation box as standard. 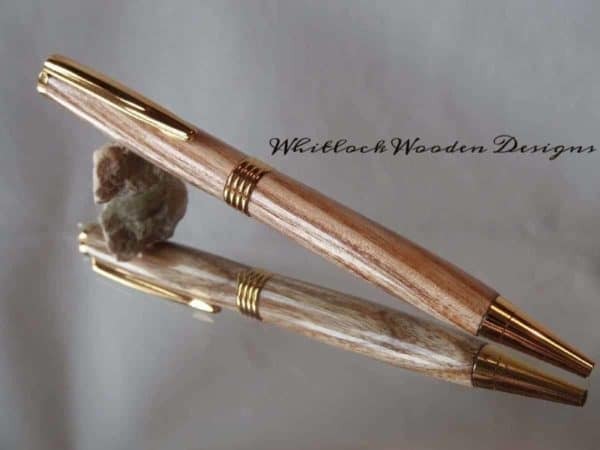 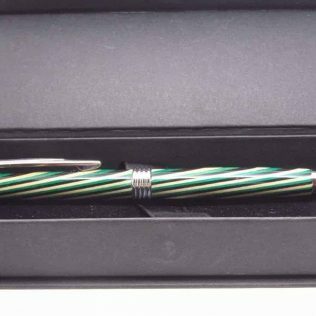 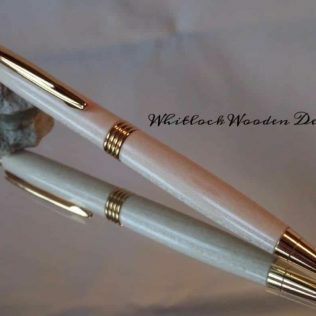 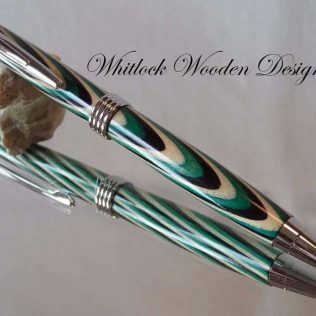 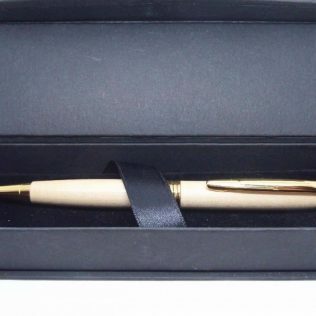 Every piece of timber different, these pens make great gift ideas on wedding anniversary or unique handmade wooden gifts for Mother’s Day.